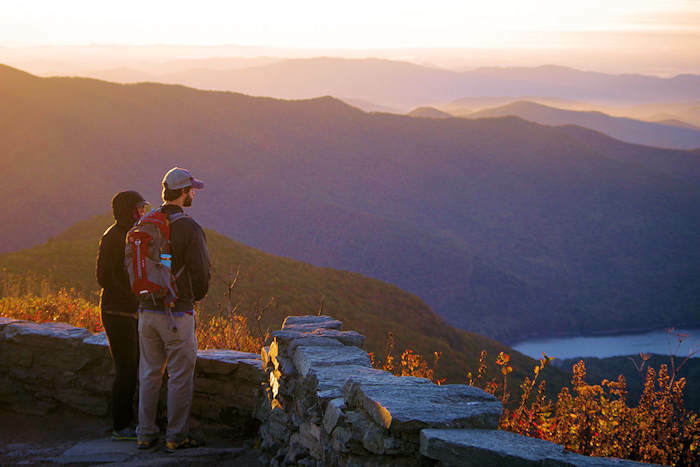 Our third annual RomanticAsheville.com wall calendar for 2019 benefits efforts to conserve and protect the land and water of our North Carolina mountains and foothills. We call it the "Giving Calendar" since 100% of the proceeds will go to two hard working land conservancies in the Asheville area. Since all printing and design costs are covered, 100% of your donation will go directly to Southern Appalachian Highlands Conservancy and Conserving Carolina. Each month, enjoy some of our favorite "Protected Places" that you can visit all year (and read about them). It's a great gift for anyone that loves the North Carolina mountains, so buy an armful! If you have a business or office, they make perfect end-of-year gifts for your clients. Order directly from either Land Conservancy for $10 each. 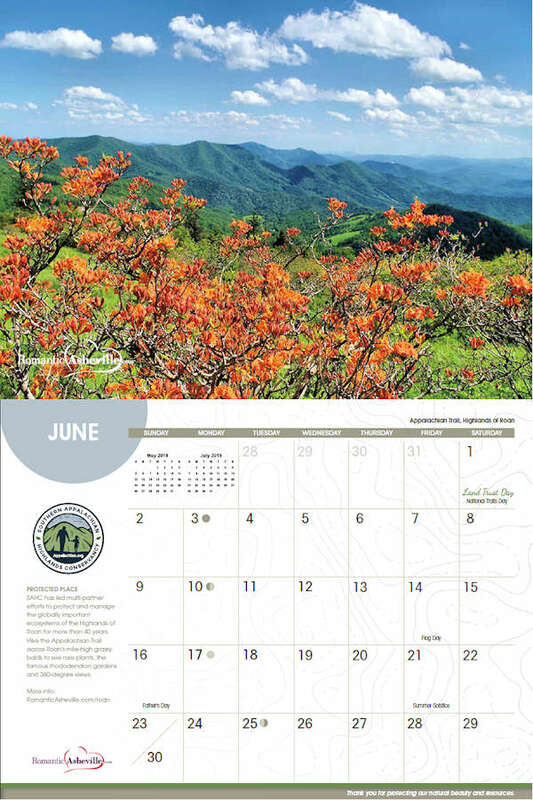 Each calendar includes a $10 coupon to Diamond Brand Outdoors or Frugal Backpacker in Asheville. So you get your money right back! 100% of your gift goes toward land conservancy. Great news! Thanks to your support, we raised $30,000 during our first two years with our calendar fundraiser. 100% of the proceeds from the sale of the calendars went to the Blue Ridge National Heritage Area as they work hard to protect and promote our natural beauty and mountain heritage. They are a wonderful non-profit, affiliated with the National Park Service. Read more about them below. 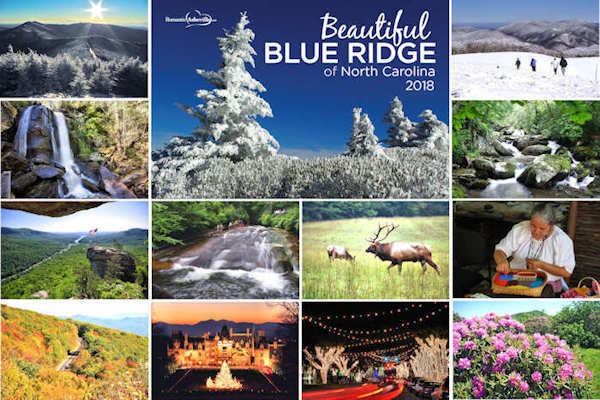 2018: Titled "Beautiful Blue Ridge of North Carolina", it featured the jewels of our mountains and foothills that included national parks and forests, state parks, Biltmore, Cherokee heritage, small towns, art and more. 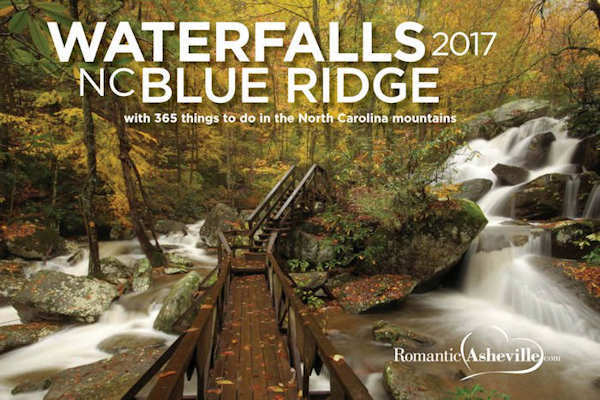 2017: Our the first wall calendar from RomanticAsheville.com featured some of our favorite waterfalls in the North Carolina Blue Ridge Mountains and Foothills near Asheville. The cover photo (above) is the hike to High Shoals Falls in South Mountains State Park.